Hey, Halloweenies! 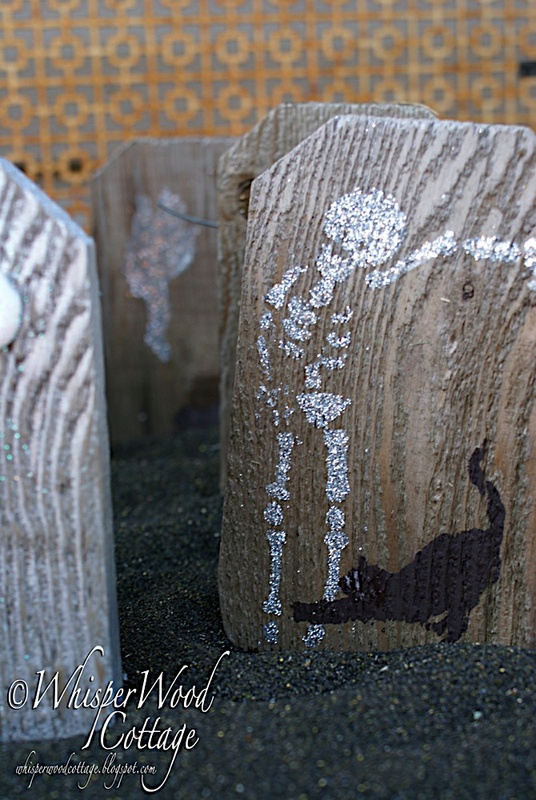 Did you see the first Garden Edging Turned Mini Halloween Tombstone project? I'm back with a second Halloween project for that wooden garden edging I found at a garage sale over a year ago. 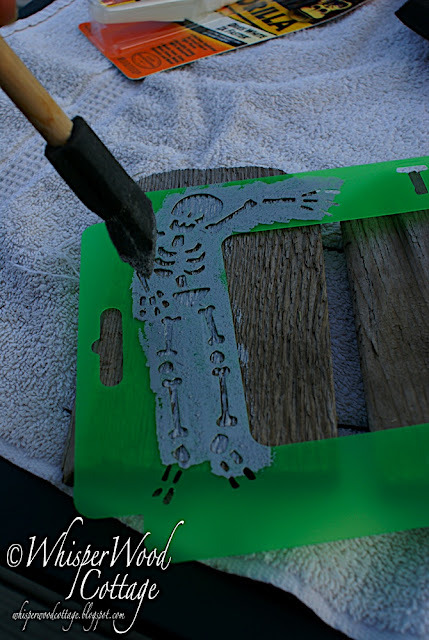 DecoArt Frame Stencil called "Trick or Treat"
DecoArt Stencil Paint in "shimmering silver"
DecoArt Americana Acrylic Paint in "soft black"
PK Glitz glitter in "crystal"
STEP 1: Cut apart the wires connecting the garden edging using a wire cutter. 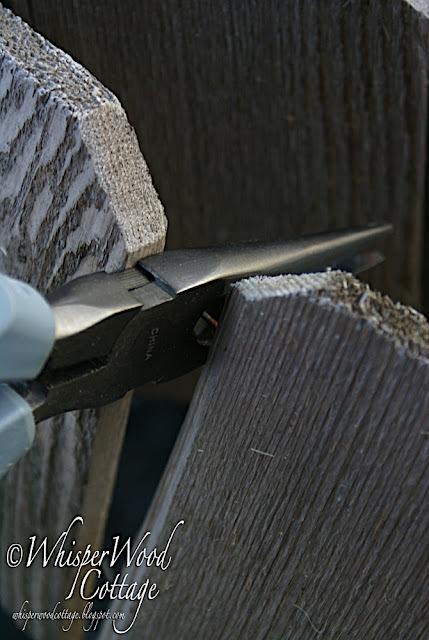 I used the one built into my needle nose pliers. 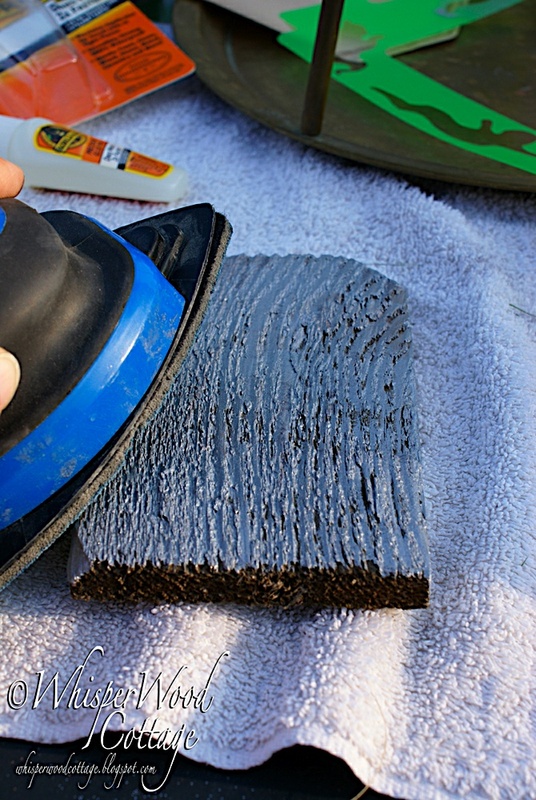 STEP 2: Distress the piece using the Norton Sanding Bug from Rockler. 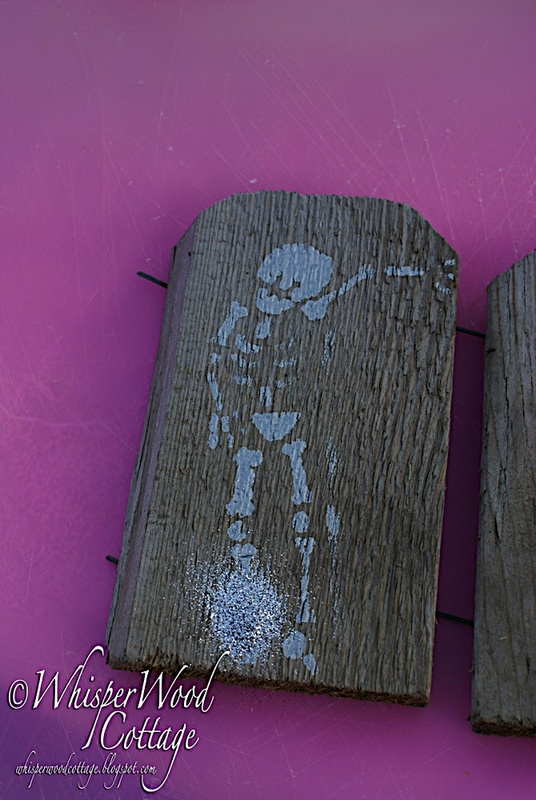 STEP 3: Place the "Trick or Treat" frame stencil from DecoArt on the wood. Use the Rockler foam brush to dob on the DecoArt shimmering silver paint. 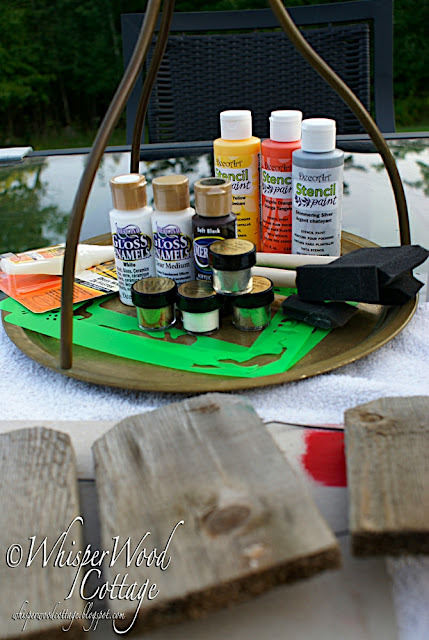 STEP 4: While the paint is still wet, apply the PK Glitz "crystal" glitter. STEP 5: Place the stencil and paint the cat figure by dobbing it with the foam brush and soft black acrylic paint. STEP 6: Let it dry. 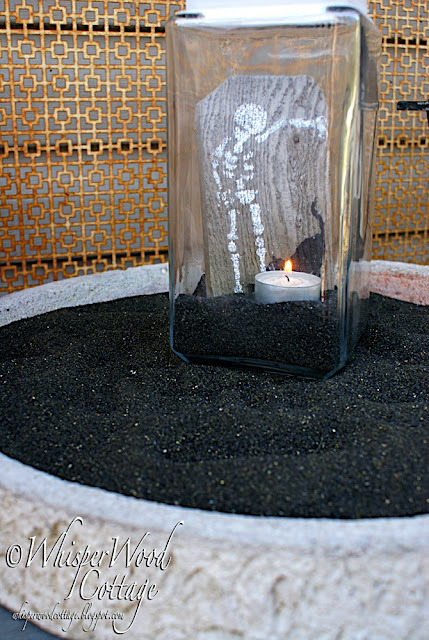 STEP 7: Fill the bottom of a jar with black sand blasting material. Place the tombstone. Add a tealight candle. Light the candle. 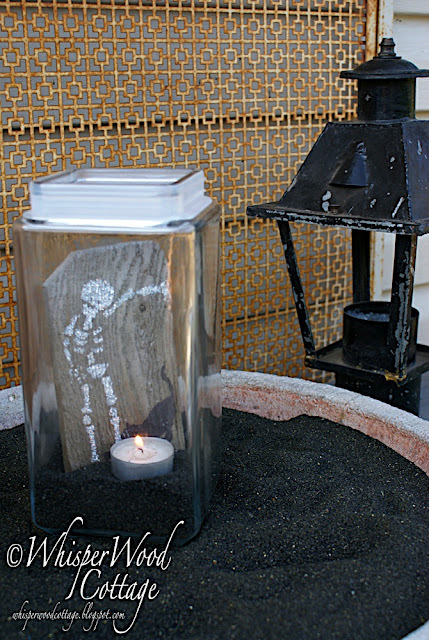 Wouldn't this be great by the front door to welcome your trick or treaters? Those are awesome, and I have some of that garden edging! Thanks for the great idea. Very cute idea. We live out in the woods and the kids in our area are all grown up so no trick or treaters. But still decorate a bit. Creepy cute... they look fantastic! Why am I not surprised? I have a shrouded 6 foot ghoul at the door as a greeter! Ha!! Spooky! Cute idea Amykins and the black sand...inspired! My daughter would love those, she loves skeletons! Has a real on minus the head in her living room! Oh this is so cute! Cute in a good creepy way. I wish we did Halloween here, this would be one of my projects to do for sure. 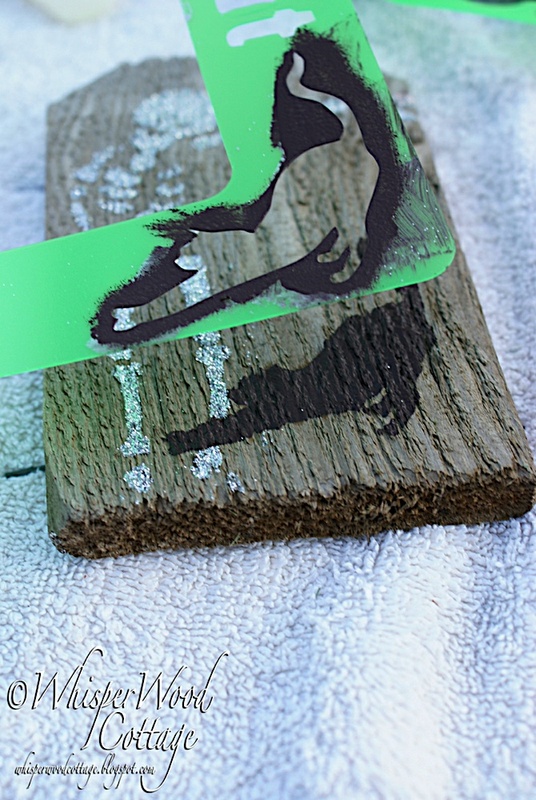 This is so cute -and I could do this with one of my driftwood pieces!!! Just came over here via Michelle's Emerald Cove Blog who featured you awesome barn door/closet. How very artistic these are! This Halloween tombstone project is perfect for indoor or outdoor decorating and you make it look & sound easy enough for anybody to do!